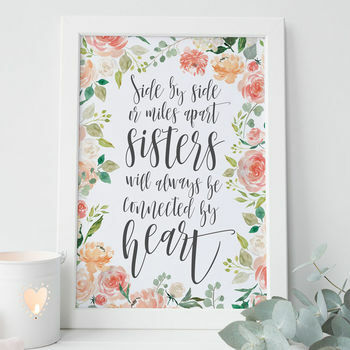 Show your sister how much she means to you with this birthday gift for sisters. This print is the perfect keepsake to give as a birthday, leaving or 'just because' gift for your sister. Featuring pastel, watercolour flowers and meaningful quote.